Steveso Thinks: Should Brian Williams Resign from NBC News? Should Brian Williams Resign from NBC News? 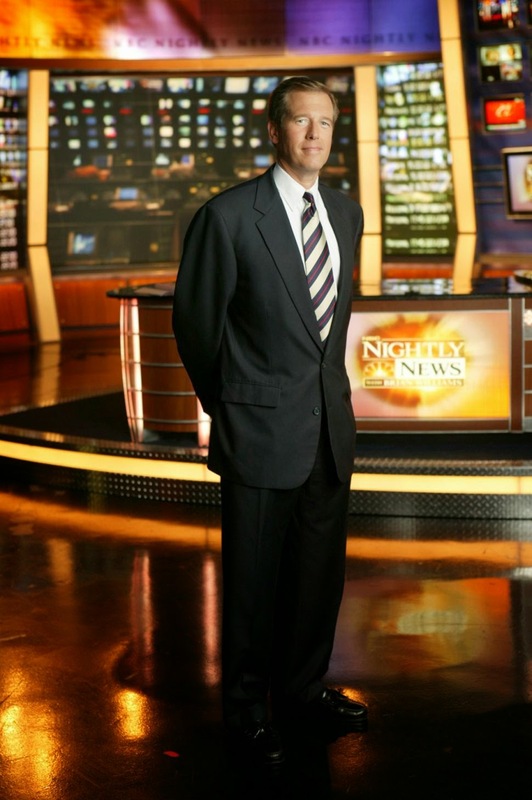 In the past few days the media has been abuzz with the Brian Williams story of his lying about an incident in the Iraq war and during his coverage of the Hurricane Katrina disaster. Some people are calling for his immediate resignation, while others are willing to forgive and forget. Williams apparently has a strong following of fans who will not abandon him. He has appeared on his news program and apologized for his deeds, while also taking a leave of absence from the show, while the incidents are being investigated. Two incidents are causing all of the furor over his honesty and reliability in reporting the news. One incident involved his reporting of a story during the Iraq war, where he said he was aboard an aircraft that took enemy fire. He has referred to this a number of times over the years, but apparently no one on that aircraft remembers it as Williams does! He really didn't give a false impression about the war or the courage and bravery of the service men and women who fought the war. At most I could say he was guilty of a bit of self aggrandizement. The second incident was in regards to a report he made during Hurricane Katrina, where he said he was able to see bodies floating in the streets of the French Quarter. The truth of the matter was that the flood waters in this location never reached a height where bodies could float, even though this was happening in other areas of the city. Here he was guilty of a little poetic license to emphasize the extent of the tragedy. It didn't minimize or trivialize the depth of suffering of the residents of New Orleans. I really don't think a great deal of damage was inflicted upon the American news viewing public. If there was any damage done, it was to Brian Williams' career and reputation. Instead of reporting the news for the past couple of weeks he has become the subject of the news. He has been humbled and embarrassed by having to apologize on his news program as well as taking a leave of absence. To me this is one person from a network news program who made a couple of mistakes, as a result of being a bit too eager or trying to inflate his own importance. On the other hand if you take the entire staff of Fox News, it is a horse of a different color. Fox News consistently lies, embellishes stories or twists the context of news stories to further their extreme conservative agenda, which is to destroy President Obama. They have lied and given half truths to fan the flames of violence, hatred and racism in order to divide the country. Yet they never apologize, as they don't admit any wrong doing. If Brian Williams if forced off the air, then fair play would be for the entire Fox News team to be taken off the air too. All news programs have embellished the truth on many occasions, I am sure, and it will continue to do so, hopefully rarely though. With Fox News dishonesty in reporting is the entire crux of the show. In my opinion Brian Williams is paying for his mistakes and hopefully he has learned his lesson. It's Time for Bill O'Reilly to Go! Have You Met God's Match for You? Looking for Affordable Car Insurance - Again. Time for a Different Direction?